Home » Air Mattress » Best Air Mattress For Guests : Sofa Sleeper, Folding Cot & more. When you’re looking to provide space for your guests to sleep, then you might want to consider getting an air mattress before you consider getting another full bed and a frame. This way, you can keep the rooms in your house as you want and set up a place for guests that stop by unexpectedly. However, you’ll want to make sure that you’re getting the best air mattress for guests to ensure that the sleeping experience is great. If you are trying to figure out what kind of setup you want to get for your guest, then you might have stumbled upon the idea of using a cot instead of just an air mattress. This might appeal to some because it means that the cot will be higher up and that there will be less set up involved than using an air mattress. However, a cot isn’t necessarily better than an air mattress. Cots are more often used by campers, which means that they are kind of basic. They aren’t meant to look like a normal bed. You can try to spruce one up, but it will take more items to make it more like a normal bed. An air mattress is a lot easier to turn into a more normal set up. As well, cots don’t come in nearly as many options. You’re going to be able to find some reasonable options, but you’re probably going to find more cots that are designed for campers than for people that are having guests over. 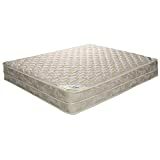 This can have a definite impact on what you decide to do with your mattress set up. Twin - 73" x 38", Queen - 78" x 58"
Twin - 76" x 38", Queen - 80" x 60", California King - 84" x 72"
Twin - 74" x 39", Queen - 78" x 58"
Queen - 72" x 60", Full - 72" x 52"
In order to make sure that your guest has the best experience of sleeping at your house, you’re going to have to take some time to look at all the options that are available to you. Unfortunately, there are a lot of air mattress models that can be used to create a good sleeping space for guests. In order to help you figure out which one is the best air mattress for guests for you, we’re going to go over some of the most basic features that you will find and how they will impact the sleep that your guest gets at your house. Some people have the space to get a frame for their air mattress. These frames are made to fold up fairly small, but they still take up quite a bit of space. If you’ve got a frame, then you might be able to use an air mattress that is a little bit thinner. You won’t be relying upon it to also lift them up and off the ground. However, if you don’t have the storage space for the frame, then you’re going to need an air mattress that is a little bit higher. Getting an air mattress that is higher is a great way to help your guests feel like they’re getting a more regular night of sleep. Of course, you might not think that this is within your budget. There are plenty of air mattresses out there that are cheap but tall. Getting a shorter one can work well if the air mattress needs to move around a lot, but if you’re only going to be using the air mattress in your home, then the size of the air mattress probably won’t matter that much. If you are expecting a guest that has a particularly bad back or can’t lean down easily, then getting a taller air mattress or having a frame will make it easier for them to sleep. In fact, many people with back problems can find a significant amount of relief when they are sleeping on an air mattress. You might even be able to change how they live at home after they sleep at your house. Air mattresses that are designed for use in the home range from very simple to a little bit more complicated. The complicated options allow users to really customize the experience that they have while they are on the air mattress. However, you’re going to have to balance out the options with the complications. Many air mattresses try to make their systems easier to use so that a user isn’t confused when they’re trying to use the air mattress. You will probably be the one to set up the air mattress since you will be prepared for your guest. However, if your air mattress allows them to adjust the settings or that might need to be reinflated during the night, then you’ll want to get something that will be fairly simple for the guest. Many air mattresses now have built-in pumps. These pumps make it easier for someone to use the air mattress. External pumps require a little bit more know how sometimes to make them work correctly. However, at the end of the day, you’ll have to figure out which air mattress will fit your lifestyle the best. Getting an air mattress is about saving a little bit of space, but you can also save some money by doing this. You will be able to get a queen air mattress for a fraction of what it would cost to get everything for a queen mattress, frame, and sheets. However, there are still models of air mattresses out there that cost a pretty penny. You might be more willing to put the money into the air mattress because it still won’t be taking up as much of your space as a typical mattress would. By paying a little more for a good experience for your guests, you are ensuring that they will get the best night of sleep possible when they’re over at your house. This can sometimes include air mattresses that have some extras built into them. When you get an air mattress that costs less, you will find that it has fewer ways to customize the experience. However, the best air mattress for guests isn’t going to be just about how fancy the air mattress is. It will also depend on what you are able to provide. Don’t destroy your financial plan in order to get an air mattress. Air mattresses come in all sorts of shapes and sizes. While height is one of the considerations, you will also have to consider the other dimensions of the air mattress. You can get air mattresses in many of the same sizes that you get normal mattresses in. If you know that you will only have one guest over at a time, you can probably get a twin. However, for the most part, you will want something a little bit bigger than that. This can make sure that you’re prepared for multiple guests or you can give your guest the best possible experience. When you’re looking at the different sizes, you may need to measure the room that you would be putting the air mattress in. You’ll want to make sure that the air mattress will actually fit in the space. You don’t want to get an air mattress that is so large that your guest can’t walk around the bed. This may take a little bit of time and measure, but making sure that there’s plenty of space will ensure that your guest is able to comfortably sleep on and deal with this air mattress. There are many kinds of extras that you will be able to find when you’re looking at air mattresses. The common ones involve pumps, but there are extras that are built into the air mattress such as remotes for easy inflation, and edges that are made to ensure that pillows and people don’t slide out of the bed. Some of these extras cost more because they make the process of building the air mattress a little bit more difficult. However, that doesn’t mean that you should completely ignore these options. 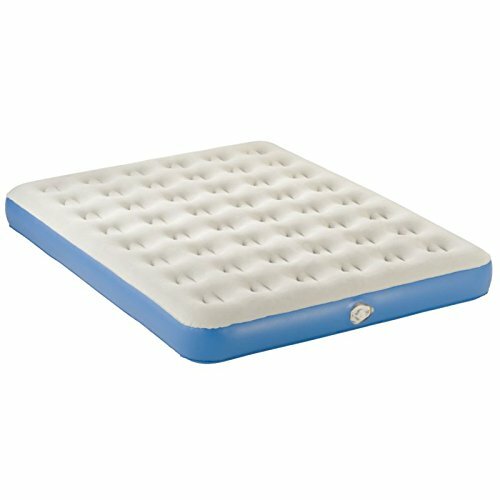 Some options like the never flat pumps help ensure that the air mattress functions as well as possible. This means that your guest doesn’t have to fuss with the pump after they’ve gone to bed or ask you questions about how the air mattress works. That ease does come at a cost, but you’ll find that sometimes these options are really worth the little bit of extra money that you will have to put into the air mattress. Making an air mattress might take a little bit of work, but it can be worth it if you’re making the experience so much nicer for your guest. The most basic way of making an air mattress comfortable is by turning the air mattress into a more typical bed. You can add blankets and sheets to the air mattress to at least use normal bedding to make the experience nice. You can even add a headboard of some kind to help make it more normal. If you’re worried about the surface of the air mattress being a little bit too firm and a bit uncomfortable for your guests, then you can use opened sleeping bags to turn into a bit of a pillow top mattress. You might be able to do better with an air mattress that doesn’t have a ton of extras already included in it. This means that you will have fewer parts to worry about breaking and will be more easily able to move the comforts from one air mattress to another. However, what you want to add to your air mattress is up to you. You might even be able to ask your guest what they want and add that to the setup to make sure that they are getting the best experience for them. Just as there are tons of air mattresses out there, there are tons of different ways to customize the experience of sleeping on one. One of the most interesting ways that you can improve the experience of sleeping on an air mattress is adding a frame to the experience. Many frames are built to be used outdoors and thus fold up rather small. However, there are larger frames that are meant to be used at homes. These air mattress frames will fold up, but they won’t be as compact. However, they will make the air mattress experience much closer to sleeping on a normal bed. For a guest, this can make the difference between an okay night’s sleep and a great night’s sleep. Getting a frame might be in your budget, but it might not be. If it isn’t in your budget, then you might want to look for something that can at least help get it up off the ground. This can be a simple frame that at least gets the air mattress up a little higher. By having a frame, it also means that you won’t have to put the air mattress straight on the ground. This elevation can help many people get a great night of sleep. If you have a sofa that folds out into a frame, you might yourself in need of a mattress that will work with the frame. While there are some setups that allow you to have the full mattress inside of the sofa, there are more setups where you will have to have a mattress for the frame. Using an air mattress in this situation is a great option. There are air mattresses that are built specifically for use with this kind of frame, but as long as you are using the right sized air mattress for the frame, then you should be able to use any sort of air mattress to make a comfortable space. This is a great way to get an air mattress up higher without needing tons of extra things in your house. It also means that your frame will serve a purpose rather than just be something that you have to store in your home. This can be a significant advantage for some people that want to have a better sleeping experience for their users, but don’t want to give up the space that they have in their home. You may need to measure the frame that you have and make sure that the air mattresses you are looking at will fit nicely onto the frame. You don’t have to get it perfect, but you will want something gets as close as possible to the right dimensions. Sound Asleep creates air mattresses that are meant to be a comfortable experience for everyone. This particular air mattress is made to be really one of the most comfortable experiences that they can have. 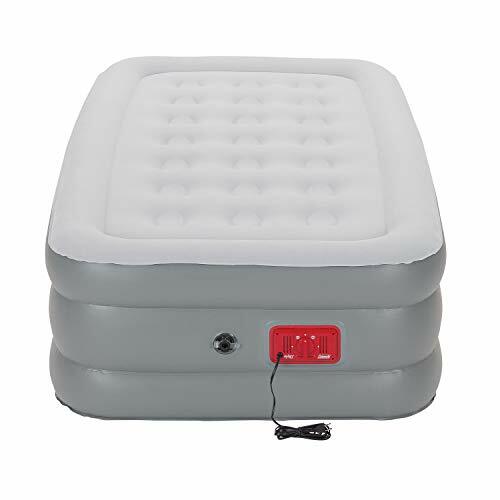 This air mattress is 18 inches tall and it includes a great air pump. This means that this air mattress will be extremely simple to set up. The internal design of the air mattress is made to make sure that you’re going to feel extremely comfortable while you’re on this air mattress. It is also built to make sure that the air mattress is going to be stable. This means that if you roll over while laying on it, you won’t immediately hear squeaking and the air mattress won’t move around. This one is made to fit in nicely in your home. The twin sized one will fit just about anywhere, which is why this air mattress will be a great choice. The great quality of the air mattress does come at a price, but it will definitely be worth it in the long run. When it comes to having a whole lot of options for you, Intex has many different types of air mattresses that are available to people. This one is one of the types that are best suited for use inside of your home. 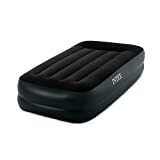 This one has a built-in electric pump which means that it’s very easy to inflate the air mattress whenever you need it. This one is a little bit taller than other air mattresses, but it is also a bit smaller than other air mattresses. The lack of height may make this just a little bit more difficult for some people because of the fact that it is a little bit closer to the ground. The air mattress is also designed to keep fitted sheets in place. This means that you will be able to make sure that the bed looks a lot like a normal bed. This will make sure that your guest feels right at home while they’re staying with you. 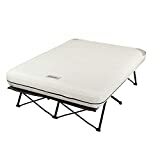 This air mattress provides plenty of support which means that this will feel like a more normal air mattress as well. This one will be simple to plug in and fill up. 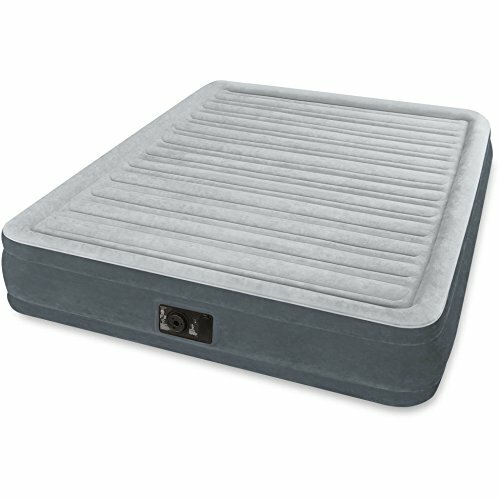 As an air mattress, you may see some issues with holding the air in the mattress. These just come with the territory and are to be expected, regardless of what kind of air mattress you get. Coleman makes tons of products that are intended to make your life easier. This air mattress is another one in those lines. This one is particularly tall, which means that it will be a great fit for any guest that comes over to your house, regardless of their situation. While this air mattress does come with a built-in air pump, you’re going to be able to inflate it with an external pump if the internal pump breaks down or stops working. Having options is always great when you’re trying to make sure that you’re going to be able to use the mattress. This air mattress is made to last for quite a while, so you’ll be able to keep it and use it for quite a long time. And because it is made to be durable, you might even want to take this air mattress with you when you go camping or have to travel yourself. 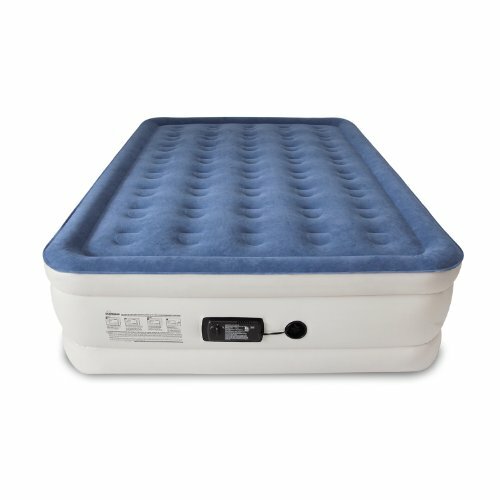 This is an air mattress that you will be able to make comfortable no matter where you are or if you’re just doing it for a guest that came over. AeroBed makes many different air mattresses. Many of their air mattresses will work both indoors and outdoors and this is one of the air mattresses that definitely works in both places. However, this one will definitely work for a guest. This air mattress is quite a bit thinner than others that we’ve mentioned, so you might want to consider having a frame to use with this air mattress. Using a frame will help raise this one up without you having to invest in a taller air mattress that will fall apart. Even though it is thin, this air mattress is built to stand up to a lot. Because it is so basic, it is more likely to last for a long time. You’ll be able to pad this one to your contentment without having to worry about the features that you might be getting in the way of. The options on this air mattress are fairly clear and you will be able to do whatever you would like. Despite how simple the air mattress is, the price of the air mattress is a little steep. That is because of the fact that it’s made out of good materials and has a solid construction. 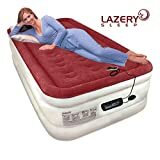 So if you’re looking for something that you will be able to use for quite a long time, then you will want to go with this particular air mattress. When it comes to finding the best air mattress for guests, there are a lot of things to consider. Most of all you will want to find something that works well for your guest. This air mattress can save you a lot of time, space, and money, but that doesn’t mean that you should just pick a random one. You’ll want to pick something that will really work with your life, your space, and your budget. But there are tons of great air mattresses out there for you to pick from.